For every one-degree-Celsius increase in temperature, mountaintop species shift upslope 100 metres, shrinking their inhabited area and resulting in dramatic population declines, new research by University of British Columbia zoologists has found. The study–the first broad review of its kind–analyzed shifts in elevation range in 975 populations of plants, insects and animals. "Most mountaintop species we looked at are responding to warming temperatures by shifting upslope to live in cooler environments. As they move towards the mountaintop, the area they live within gets smaller and smaller. This supports predictions that global warming could eventually drive extinctions among species at the top," says Benjamin Freeman, lead author of the study and a postdoctoral researcher at the UBC Biodiversity Research Centre. The northern pocket gopher in Nevada's Ruby Mountains lost more than 70 per cent of its inhabited area over the past 80 years as a 1.1-degree temperature increase drove populations upslope. 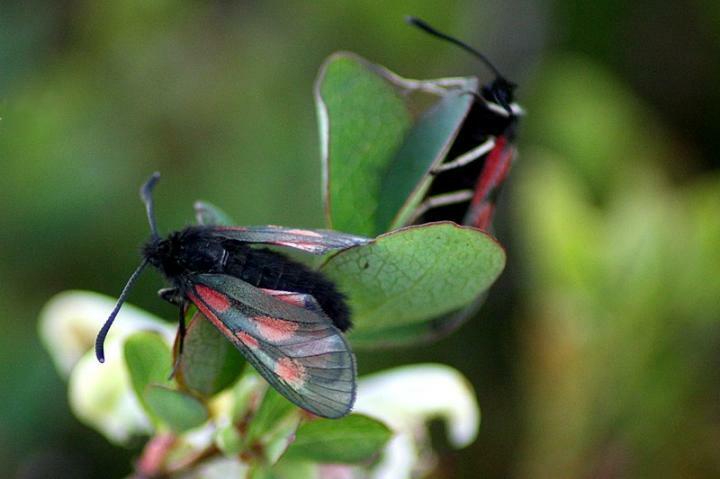 The mountain burnet butterfly in the French Pyrenees adjusted to a one-degree temperature increase by shifting upslope 430 metres–losing 79 per cent of its range over the past 50 years. An alpine meadow flower in the Himalayas moved upslope more than 600 metres as temperatures rose more than 2.2 degrees in the past 150 years. It lost 29 per cent of its habitat in the region. The research also found that a few species, such as the white-crowned sparrow in the southern Sierra Nevada mountains in California, moved their entire range down mountains. "This highlights how complicated responses to climate change are likely to be," says Anna Hargreaves, an assistant professor at McGill University who worked on the study as a postdoctoral researcher at UBC. "We might be able to predict what happens on average, but predicting how any particular species will respond is a serious challenge. We should be treasuring, archiving and protecting historical data and long-term studies that give us baselines to see how the world is changing." The research analyzed data from 23 previous surveys and studies, largely conducted over the past 50 years. "Changes in species' geographical ranges are likely to have important implications for conservation," says Julie Lee-Yaw, study co-author and postdoctoral researcher with the UBC department of botany. "The decreases we're seeing at high elevations mean that the area of suitable habitat is getting smaller, and we may start to see declines in the number of individual animals a given mountain can support. It's important to study how these shifts are affecting population sizes." The findings were published today in Global Ecology and Biogeography.